In this entertaining presentation, Andrew Lo poses some very interesting questions and adds further fuel to the argument that a rigorous scientific approach may yet help us undo some of the ills created by man’s feeble attempts to cheat nature – dare I say, man-made complexity!? Andrew Smithers (Smithers & Co) has drawn his conclusion – below – It wasn’t rotten maths, it was rotten epistemology. But, I’m sure he won’t be offended if I draw and justify my own conclusions as well as adding some further thoughts from Andrew Lo which would appear to support my own position. In fairness to Mr Smithers his commentary is upon the presentation. My own thoughts are more focused on the robustness [RESILIENCE] of the SYSTEM rather than that of individual companies, portfolios or strategies. I am no expert. More of an enthusiastic amateur whose personal pursuit of a means to develop financial products that delivered TRANSPARENCY, SUSTAINABILITY and CUSTOMER VALUE led me to the realisation I would be better equipped for “the journey” armed with an understanding of COMPLEXITY…something that Einstein spoke so passionately about (below). Hence my involvement with Ontonix. I have also included, below, a link to a superb article from Fund Strategy magazine, “Back to Nature”. In it Andy Haldane (Director of Bank of England), Lo and others recognise that there is much more for economists…all of us…to learn from the study of biological systems. If you are involved at all in investment, insurance, credit or risk management and have aspirations that you may continue to be so, then you had better make sure you get your head round this message and ensure that your boss (and their boss) understand it…or, at least, give it some thought! 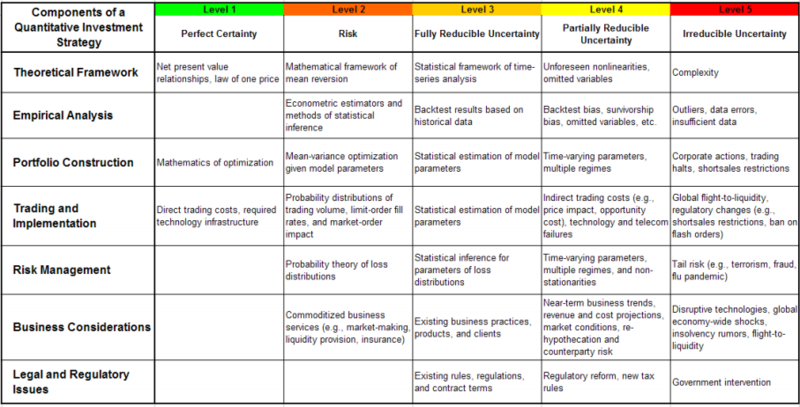 If an eminent Economist and a Physicist, both with in depth knowledge of the financial markets, are warning of the dangers of making key business decisions without a thorough and inter-disciplinary (see below) approach, business leaders need to listen if some businesses – industries – are to have a future. Will anyone be so bold as to model that!!? A good model must be testable and robust under testing, but it cannot be either unless it is coherent and this is the essential role of maths. The problem has not been the maths themselves, but a tendency to believe that elegant models must be right and to ignore the need for testing and robustness. Perhaps being taught at school about the beauty of mathematical elegance, as many of us were, has been a drawback. But if we find that the models don’t work, we must discard them and build better ones. Andrew Lo’s suggestion that we remind ourselves of Frank Knight’s distinction between risk and uncertainty and then build upon it to develop a fuller spectrum of means to understand risk, seems to me to be an excellent one, which I hope will prove fruitful in practice. “Economies evolve, dictated by the behaviours of individuals, who learn from experience and positive feedback”. While people shy away from negative feedback, when none intrudes, they carry on with a course of action. “During years of prosperity, with no negative feedback about credit default swaps [CDS] they continued to trade them until it became too late, like an addictive drug”. Andrew Lo’s reference to inter-disciplinary: Mathematics – Physics – Chemistry – Biology – Economics – History – Philosophy – Religion, as aligned to fields of knowledge in his “Spectrum of uncertainty”, indicate to me that there is something fundamental that is being overlooked. Common in each of the above as well as Sociology, Anthropology and, due to global inter-connectedness, every aspect of modern life. COMPLEXITY. After all each discipline, and I am sure there will be more that I have not even referenced, relate to differing aspects of the ecosystem within which we exist and without which we could not. Who said it? Why, Albert Einstein of course!!! You don’t have to be Einstein to figure out what he was talking about. Never mind the technological advances that have been made since his death, you just have to have the ability to read this item, presumably having grown up in a community of some sort, have the ability to use the internet, have heard of “six degrees of separation” (the Human web), or the new landmark for Facebook users (500,000,000)…not bad considering…97% of the planet aren’t members…to get the picture. Some finance scholars and a few practitioners are moving away from a mechanical approach, derived from Newtonian physics, to a more organic one, based on biological observations. Attention is shifting, in recognition that economic systems, based on human interactions, can become more complex and unpredictable than planets or toasters. Financial theorists are turning to organic biological models, to help monitor the global economy and regulate key institutions that may be too big or interconnected to fail. Vivid metaphors serve to describe the phenomena. 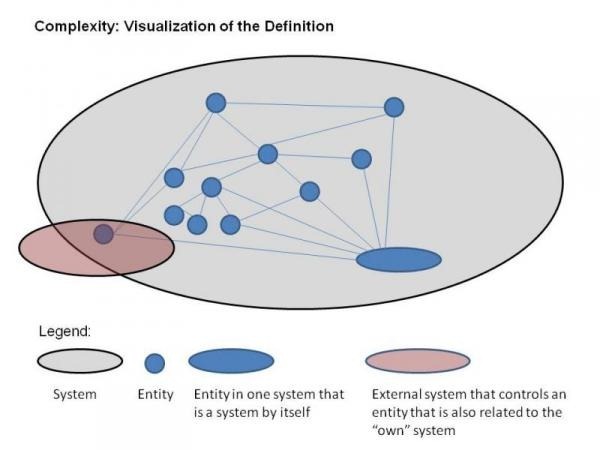 Let us examine some of the main elements, and the biological imagery that can be applied: complexity, modularity, feedback, innovation and market cycles. The first feature of complexity is intuitively easy to grasp when applied to microcosms such as tropical rainforests or marine ecosystems. A threat to any one of the multiple species, flora or fauna, which inhabit those spheres can set off a series of repercussions that affect the stability of the entire structure. Thus, complexity can pose inherent dangers.